Folkmanis 2975 - Look out, here he comes... Gotcha! 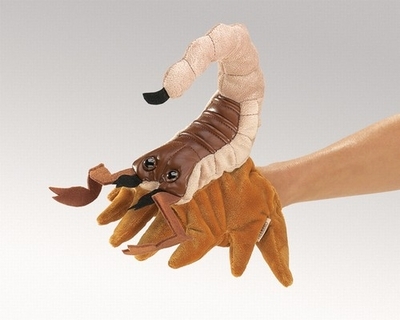 The SCORPION glove puppet fits growing hands of all sizes, from child to adult. Innovative eight fingered design may be worn on either hand. 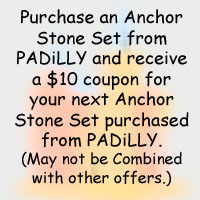 Use the special pocket in its tail to make a stinging attack. Measures 6” long, 6.5” wide, 6” tall. Glove puppet with eight legs. Fits right or left hand.